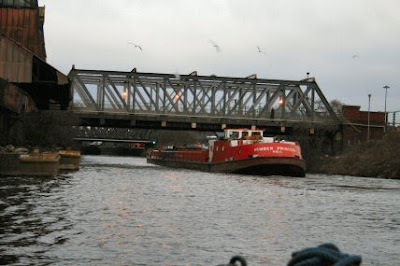 First thing this morning the water moved for me :-) when the Humber Princess got the green light from the Doncaster Town Lock to enter. Its raining so rather than go for a walk I cracked on in finishing Mal's postcard album. 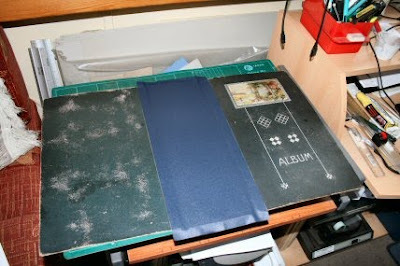 Its all sewn up and the spine has had all the mull and paper glued on ready for the covers. 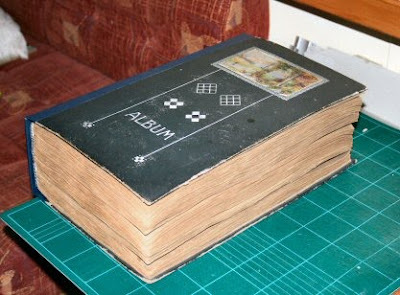 Cut the material to fit and glued on the greyboard spine. Just needs the mull flaps to be glued in and the spine edges to be folded and I am nearly there. 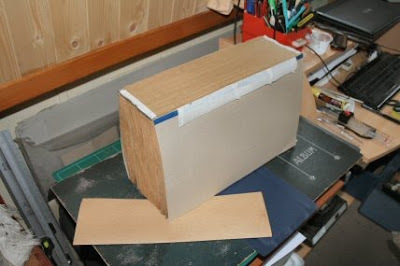 That just leaves the filler paper and the end papers to be glued down and its finished. Not as good as I would have liked but I wanted to mess with the original material as little as possible.